focused on the inventive conception of built environments. We create inspired environments for how you LIVE | WORK | BANK | SHOP | RELAX. We utilize the right blend of architectural and interior design with graphics and technology to convey the branding and positioning of companies. We provide compelling spaces that sell. We also specialize in providing residential design solutions for developers striving to accommodate a chosen demographic as well as solutions for discriminating buyers who desire distinctive homes or vacation getaways that reflect their individual personalities and dreams. Reilly Design brings together, through strategic partnerships, the right talent at the right time to fulfill each clientsâ&#x20AC;&#x2122; needs. We strive to provide the most efficient way possible for large development interests and small or start-up companies to benefit from our experience, and that of our partners, to bring them the exceptional creativity and service one might expect of a much larger studio. Ron Reilly is an architectural designer with more than 30 years of experience in a broad range and scale of commercial, retail, corporate, and hospitality architecture. He is a versatile designer able to work in traditional, contextual, and contemporary architecture as appropriate for each clientâ&#x20AC;&#x2122;s unique program and region. With a wide range of expertise in all phases of various project types, he understands the challenges and complexities of the planning and implementation of environments from the early concept through final construction. He has worked for large national design firms on projects for a wide array of clients including GE, Fidelity, Equity Residential, WSFS Bank and Marriott International. Ron studied Architecture and Historic Preservation at Roger Williams University in Bristol, RI and The Boston Architectural College. Location: State College, PA Collaboration: Adrenaline Reilly Design collaborated with Adrenaline on the design of a new branch focused primarily on students attending Penn State. The goal was to create a great customer experience leveraging both visual and self service digital technologies. Location: Indianapolis, IN Interior design for a new branch. The goal was to create a new dynamic branded environment for Old National as they introduced a new Universal Banker strategy. Reilly Design, working with Adrenaline designed the latest branch for Eastern Bank in the high-tech corridor of Kendall Square. The goal was to create a brand billboard that would provide a great customer experience in a small dynamic environment. Location:	Cambridge, MA Collaboration: Adrenaline Scope: Interior Design and merchandising Reilly Design, working with Adrenaline designed the latest branch for Eastern Bank on Cape Cod. The goal was to create a new branch utizing the new brand palette and kit of parts created. Collaboration:	Adrenaline Location:	Plymouth Township, MI Reilly Design collaborated with Adrenaline on the design of Monroe Bank & Trust newest branch and financial center. Reilly Design collaborated with Ryan Bank Concepts on the design of Webster Fiveâ&#x20AC;&#x2122;s new branch. The goal was to create a new look for Web5â&#x20AC;&#x2122;s new branch palette and operating model utilising teller pods. More emphasis was placed on technology offerings and areas for private consultation. Client:	Webster Five Location:	Oxford, MA Collaboration: Graham Architects Reilly Design recently completed the design of Webster Fiveâ&#x20AC;&#x2122;s most recent renovation of their Oxford Branch. The goal was to create a refreshed environment utlizing the universal banker operating model. Collaboration:	Adrenaline Location:	Brigham City, UT Reilly Design collaborated with Adrenaline of America Firstâ&#x20AC;&#x2122;s new in-store branches. The goals was to create a new universal banker model and a refreshed brand environment. Collaboration:	Adrenaline Location:	Plain City, UT Reilly Design collaborated with Adrenaline of America Firstâ&#x20AC;&#x2122;s new in-store branches. The goals was to create a new universal banker model and a refreshed brand environment. Collaboration:	Adrenaline Location:	West Valley, UT Reilly Design collaborated with Adrenaline for the design of America Firstâ&#x20AC;&#x2122;s new prototype branches. The goals was to create a new universal banker model and a refreshed brand environment in an scaleable solution. Reilly Design designed a new branch for Franklin Savings Bank in a brand new marlet for them. The goal was to create a very efficient branch utlizing the universal banker model in an architectural form that would give the bank great visibility in a crowded retail enironment. Collaboration:	Adrenaline Location:	Troy, MI Reilly Design collaborated with Adrenaline for the design of Flagstarâ&#x20AC;&#x2122;s new prototype branches. The goals was to create a new universal banker model and a refreshed brand environment in an scaleable kit-of-parts strategy. Client:	Midcoast FCU Location:	Freeport, ME Collaboration: Graham Architects Reilly Design recently completed the design of Midcoastâ&#x20AC;&#x2122;s newest branch and corporate headquarters. Location:	Thomaston, ME (principal designer while at BrandPartners) Ron Reilly was principal designer for exterior of this new branch design for MidCoast Credit Union. The design was to reflect the clientâ&#x20AC;&#x2122;s new brand and reflect the local seaside Down East Maine architecture with a subtle representation of a lighthouse. Client:	Newburyport Five Cents Savings Bank Location:	Portsmouth, NH Collaboration: Graham Architects Reilly Design recently completed the design of Newburyportâ&#x20AC;&#x2122;s first New Hampshire branch located in historic downtown Portsmouth New Hampshire. Reilly Design recently completed the design of Newburyportâ&#x20AC;&#x2122;s second New Hampshire branch located on the site of the famous former Yokenâ&#x20AC;&#x2122;s Restaurant site in Portsmouth New Hampshire. Reilly Design designed this new dynamic retail branch for the newly rebranded State Bank of Countryside. A former very traditional old branch, we wanted to create a fresh highly branded customer experience. Location:	Chicago, IL Scope: Complete renovation Reilly Design designed this new dynamic retail branch for the newly rebranded State Bank of Countryside. A former very traditional old branch, we wanted to create a fresh highly branded customer experience. Reilly Design designed the new branch refresh and new customer experience for The Savings Bankâ&#x20AC;&#x2122;s headquarter branch. 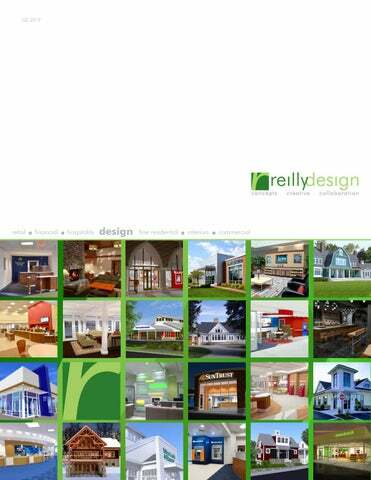 Reilly Design designed the branch renovation of an existing branch and new customer experience. Reilly Design collaborated with Branch Design Group to design an efficient branch roll-out concept proposal for Capital Oneâ&#x20AC;&#x2122;s southern market. Client:	Mutual Bank Location:	Whitman, MA Collaboration: BranchXpress Reilly Design designed Mutual Banks newest Whitman branch to create an environment more reflective of their brand positioning and to allow for space for signature components developed as part of the branding. Client:	Mutual Bank Location:	Hanson, MA Collaboration: BranchXpress Reilly Design designed Mutual Banks the unbuilt Hanson branch design concept. This was a proposal to replace the current in-line existing branch. Location: Mexico Collaboration: Ryan Bank Concepts Reilly Design collaborated with Ryan Bank Concepts on the design of a new protomodel for Banorte Bank of Mexico. Being one of the largest banks in Mexico, Banorte was looking to evolve their branch network to leverage current technologies to better enable customers to choose the way they preferred to do transactions while providing more space for consultative spaces. Location: Newtown, PA Reilly Design collaborated with Ryan Bank Concepts and BranchXpress on the design of Univestâ&#x20AC;&#x2122;s new branch prortomodel and signature element program. What started out as a 10,000 sf building designed by another firm, was reimagined by Reilly Design. It was reduced in size by 20%, and a more dynamic branch was created which would offer customers a more inspired experience. new branch concept www.reillydesign.net ©2013 Reilly Studios LLC dba Reilly Design. All rights reserved. Information, material, and designs in this document are proprietary to and owned by Reilly Studios LLC. and may not be disclosed to any third party, reproduced, posted on a global computer information network, or distributed in any way without the written consent from Reilly Studios LLC. Location:	Sewickley, PA Size:	2000 SF Collaboration: Adrenaline Ron Reilly was the lead designer for this new branch designed to be and unique and eye-catching space that would act as a â&#x20AC;&#x2DC;brand billboardâ&#x20AC;&#x2122;. Client:	Newburyport Five Cents Savings Bank Location:	throughout Kansas, Missouri, Colorado Collaboration: Adrenaline Reilly Design recently collaborated with Adrenaline on the design of UMBâ&#x20AC;&#x2122;s new branch brand refresh program. Location: West Allis, WI Collaboration: BranchXpress Reilly Design collaborated with BranchXpress on the redesign of a new branch that was to replace an existing building the bank had previously occpupied. The goal was to create a more efficient branch that offered great branding opportunites and a great customer experience. Location: Glandale, WI Collaboration: BranchXpress Reilly Design collaborated with BranchXpress on the design of a new branch located in a suburban shopping center. The goal was to create a more efficient branch that offered great branding opportunites and a great customer experience utlizing the new palette and signature elemant program developed for previous branches. Location:	Durham, NH Size:	1200 SF Collaboration: Adrenaline Ron Reilly was the lead designer for the renovation and refresh of the retail branch environment of the Eliot branch. The goal was to reposition the lobby utilizing new teller pods to better enable universal bankers to better serve customers. The branded palette and signature element program developed in Durham was also brought forward. Location:	Essex, MA Scope: Complete renovation Reilly Design designed this new dynamic retail branch for Bank Gloucester. A former tired old branch, we wanted to create a full service branch and great customer experience. Location: Glastonbury, CT Reilly Design and Graham Architects designed this new branch protomodel for Rockville utlizing the new brand palette and signature element program originally established in West Hartford. This new branch design will become the new branch standard for Rockville throughout their current and new markets. Location: Vernon,CT Graham Architects and Reilly Design designed this. addition and extensive renovation to Rockvilleâ&#x20AC;&#x2122;s busiest branch. The goal was to replicate the new branded environment established in the West Hartford branch and the new protomodel. Location: Glastonbury, CT Reilly Design and Graham Architects designed this new 2 story, 5000 sf branch for Rockville utlizing the new brand palette and signature element program. This new branch consists of a retail branch on the first floor with office and conference space on the upper level for investment, wealth management and mortgage offices. Location: Vernon,CT Graham Architects and Reilly Design designed this extensive renovation to Rockvilleâ&#x20AC;&#x2122;s Enfield branch. The goal was to replicate the new branded environment established in the protomodel design program. Upgrades to the branch included new insulation and mechanical systems to create a new code compliant, more efficient branch delivering a great customer experience. Location:	Tampa, FL Size:	8000 SF Collaboration: Adrenaline Ron Reilly was the lead designer for this new branch designed to be and unique and eye-catching space that would act as a â&#x20AC;&#x2DC;brand billboardâ&#x20AC;&#x2122;. Reilly Design worked with NHFCU to reimagine their existing Durham NH adjacent to the University of New Hamsphire campus in an effort to attract new members while provding a fresh new environment to better serve their existing membership. Reilly Design worked with NHFCU to create a new downtown branch that would serve as a brand billboard at itâ&#x20AC;&#x2122;s location just down the street from the NH State House. The goal was to create a showcase to highlight their offerings to prospective members. The fresh new environment also creates a new location to better serve their current membership. Client:	HR Block (principal designer while at BrandPartners) Location:	nationwide Size:	various Phase: conceptual Ron Reilly was the principal designer for the design of a new retail “store” prototype when HR Block decided to pursue offering Everyday Financial Services. The design program called for a easily migratable design that would meet an agressive pricepoint and be a flexible design easily changed dependant on the season’s financial needs. Collaboration: Turner Design Robert Reid Wedding Architects Reilly Design collaborated on the revised redesign of the SunTrust Bank de novo prototypes. Location:	various Size:	3800 SF Cost:	$1.75 million Collaboration: BrandPartners Robert Reid Wedding Architects Reilly Design collaborated on the revised redesign of SunTrust Banks de novo prototypes. Reilly Design collaborated with Ryan Bank Concepts on the design of this new retrofit of a former Nissan car dealership into a new bank branch. The program calls for a new retail branch with a large Community Room to be used by both customers and non-customers. Reilly Design collaborated with Ryan Bank Concepts on the design of this new branch utilizng the new common brand palette established during the design of the Columbus branch. This branch is on a prominant corner with great visibility on 3 sides. Location:	Branford, CT Size:	1200 sf Collaboration: Graham Architects Reilly Design designed the first non human/ tellerless branch in Connecticut and the the fiorst to move all transactions to Personal Teller Machines. Reilly Design is currently working on designs for the complete renovation of an old tired bank branch. Reilly Design is currently working on designs for the complete gut and renovation of a tired old traditional branch. Reilly Design designed this new dynamic retail environment to refresh a tired old branch that provided no real opportunities for branding or merchandising . Location:	various Size:	3800 SF Cost:	$1.75 million Collaboration: Ryan Bank Concepts Reilly Design is currently working with WSFS Bank, a regional institution based in Wilmington Delaware, on new prototype branches in two sizes. Location:	various Size:	2500 SF Collaboration: Ryan Bank Concepts Reilly Design recently completed the design for a smaller protomodel for WSFS Bank, a regional institution based in Wilmington Delaware. Location:	Millsboro, DE Size:	3800 SF Collaboration: Ryan Bank Concepts Reilly Design worked with Ryan Bank Concepts and Architectural Alliance on the implementation of the first branch utilizing the new protomodel design guidelines. Millsboro is the first large prototype to be built. Location:	Greenville, DE Size:	2500 SF Collaboration: Ryan Bank Concepts Reilly Design, while working on a new prototype for WSFS Bank, provided interior and millwork design consulting services for a branch currently in design. The goal was to create a series of signature elements that emulated the designs of the larger prototype currently in development. Location:	Wilmington, DE Size:	2500 SF Collaboration: Ryan Bank Concepts Reilly Design, utilizing the new prototype palette, designed the renovation of a shopping center branch to improve the operation of the branch as well as unifying the look. New millwork components were designed to emulate the new prototypes developed for the bank. 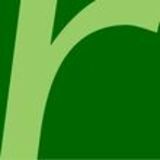 Location:	various throughout Alaska and Washington Size:	varies Collaboration: BrandPartners Reilly Design is currently working with BrandPartners Retail Inc. on a new look for Alaska USA Federal Credit Unions Retail and Traditional branches located throughout Alaska and Washington State. Scope includes design of signature elements, new branch layouts and signature material palettes. Reilly Design is currently working with BrandPartners Retail Inc. on a new look for Alaska USA Federal Credit Unions Retail and Traditional branches located throughout Alaska and Washington State. Scope includes design of signature elements, new branch layouts and signature material palettes. before Client:	Viking Bank (principal designer while at BrandPartners) Location:	West Seattle, WA Size:	2700 sf (approx) Budget:	$800,000 Ron Reilly was the principal designer for the repositioning of an old Burger King restaurant into a new branch utilizing the new design prototype design also designed by Ron. The goal was to create a signature look for this and all other new branches. This site is a prominant location on Alaskan Way with high visibility. Ron Reilly was the principal designer of the repositioning of the HQ branch for Viking Bank. The goal was to provide a more efficient branch utilizing the new palette establilshed for the protomodel. Location:	Gloucester, VA Size:	3000 SF Cost: $1.3 million (principal designer while at BrandPartners) Ron Reilly was principal designer for this new prototype branch design for 1AFCU’s new look to be rolled out across a wide area of coastal Virginia. The design was to reflect the client’s new brand positioning and fit into a wide variety of communities while remaing sensitive to local vernacular architecture. Location:	Newport News, VA (principal designer while at BrandPartners) Ron Reilly was principal designer for this new branch located inside 1AFCUâ&#x20AC;&#x2122;s headquarters and was to emulate the new prototype branch design. Location:	Sanford, ME Scope: Interior Design and merchandising concepts Reilly Design, working with a national merchandising company was asked to redesign the interior the newest branch for SIS to better reflect the current design of their most recent branch and to create a better brand environment and customer experience. Reilly Design designed the renovation and refresh of the current Wells Maine branch. The goal was to create an exterior more represntative of the branch which created a greater physical presence. The interior would be reconfiguired and refreshed to provide a better customer experience. Client:	Mrrimack County Savings Bank Location:	Hooksett, NH Collaboration: Ryan Bank Concepts Reilly Design along with Ryan Bank Concepts designed MCSBâ&#x20AC;&#x2122;s newest branch. Size:	1600SF Interior design concepts for a contemporary small branch. Client: Fidelity Homestead Saving Bank Size:	500 SF Interior design concepts for a very small lobby branch in a downtown New Orleans office tower. Location:	Pennsylvania Size: 7200 sf Reilly Design provided two designs for a Pennsylvania community bank. The first design was to renovate the existing branch and add additional square footage. The second design is for a new branch that would replace the current branch. The new branch would have a larger retail branch, more offices and provide a better customer experience. The other half of the branch is to be dedicated to commercial banking and wealth management to better serve the market. Reilly Design collaborated on the additions to and redesign of a historic building in upstate New York for re-use as a credit union. The goal was to rehabilitate and restore the existing building and add architectually sensitive additions to the building. The goal was to design and create a â&#x20AC;&#x153;re-envisioned branchâ&#x20AC;? that would allow for more branding opportunities, product and service displays, and a great member experience. Ron Reilly was the lead designer while at Brandpartners for the design of this small branch for a community bank. The goal was to provide a strong branded presence in an urban downtown mixed use development. Reilly Design is currently working on design concepts for the repositioning and updating of a older bank branch. The goal was to provide a more efficient layout and an updated, brighter interior with better opportunities for branding and merchandising. Location:	Kalispell, MT Size:	varies * executed while designer at BrandPartners Ron Reilly with BrandPartners did the conceptual design of a new prototype for Rocky Mountain Bank that would potentially become a new standard throught its network. Special attention was given to organizing the interior spaces to operate more efficiently and to redifine the customer experience. Efforts were also made to provide an architecture that could be rolled out in many different locations throughout the west while remaining sensitive to the local vernacular style. Location:	various Size:	varies Collaboration: BrandPartners Reilly Design worked with BrandPartners on the conceptual design of a new prototype for Fifth Third Bank that would potentially become a new standard throught its network. Special attention was given to organizing the interior spaces to operate more efficiently and to redifine the customer experience. Efforts were also made to provide Fifth Third Bank with an architecture that could be rolled out in many different location while remaining sensitive to the local vernacular styles. Client:	amcore bank Location:	various Collaboration: BrandPartners Retail Inc Phase: conceptual Ron Reilly was the lead designer for this project aimed at redesigning the current branch prototype to create a better customer experience. There was also a desire to create a better customer flow with better ability to see customers and allow for further product offerings and space for more customer amenities. Reilly Design presented alternate design and merchandising concepts to the management team to show how various branding and merchandising elements could be used in their new branch and how the layout of the design could be modified. Client:	Salisbury Bank Location:	Great Barrington, MA Collaboration: Solidus Reilly Design is currently working on designs for the repositioning of an existing downtown building currently occupied by a retail space. The proposed branch utilize dialog banking along with offices geared toward provide consult spaces for non-transactional lines of business. Client:	midwest bank Location:	various Collaboration: BrandPartners Phase: conceptual Ron Reilly was the lead designer for this conceptual proposal aimed at redesigning a tired old, and dark investment office located on a busy thoroughfare inside AmSouthâ&#x20AC;&#x2122;s Corporate HQ. The goal was to provide a more engaging environment to better represent offerings and attract new customers. Location:	various Size:	varies Collaboration: BrandPartners Reilly Design worked with BrandPartnersNY on conceptual design studies for a new prototype architecture for southern regional bank that would potentially become a new standard throught its network. Client:	Chittendon Bank (principal designer while at BrandPartners) Location:	Burlington, VT Ron Reilly was the principal designer for the repositioning of a headquarters branch that would provide better business line segmentation (retail banking and investment services) in a more inspired environment. Location:	various Size:	1000-1250 SF Cost:	$35 sf Collaboration: Grafico Inc. (a brandpartners group company) Ron Reilly was the lead designer for the roll-out of a new branded environment for a strat-up financial servies provider. The goal was a bright comfortable brand icon that could be rolled out with little constrcution in a short time and on a very tight budget. “the design of a protomodel” The following is an example of the process we take on all of our projects. It all starts with a understanding of your brand. Your personal brand or that of your company. The process is the same be it a home or a new retail environment. Reilly Design designed this vacation home that is currently in design. The house is located on a very prominent location on Ocean Avenue overlooking the Bush Compound at Walkerâ&#x20AC;&#x2122;s Point. Reilly Design designed this residence on Paddy Creek for a couple relocating to Kennebunkport. This initial concept was completed after a meeting with the builder and visit to the challenging narrow site. Goal of the design was to fit the house to the site while taking full advantage of views to the Atlantic Ocean. Reilly Design designed the addition and renovation of this circa 1872 house in Dover NH originally built by Governor Sawyer as part of his farm at the end of the 19th century. We are also currently designing an addition to the house that will hold a 3 car garage, great room, office and master bedroom suite. Reilly Design designed another addition to this circa 1872 house in Dover NH originally built by Governor Sawyer as part of his farm at the end of the 19th century. We are also currently designing an addition to the house that will hold a 2 car garage, great room, and master bedroom suite. We are in the process of creating a guest house/office barn. This is based on a stock timberframe model by a Maine timberframer and is being done in 2 different styles. A more transitional version shown here, and a more contemporary. We are in the process of creating a guest house/office barn. This is based on a stock timberframe model by a Maine timberframer and is being done in 2 different styles. A more contemporary version shown here, and a more transitional. Reilly Design is in the process of developing very early design concepts for a proposed vacation getaway on the Amonoosuc River in the heart of ski country in the White Mountains of New Hampshire. Reilly Design is currently working on designs for a large Federal Style colonial manor house for a country property in New England. Reilly Design is currently working on designs for a large gambrel Dutch colonial country house for a property in New England. Client:	Fred & Jo-Leen Papandrea Location:	Wells, ME Collaborator: David Graham Reilly Design worked again with David Graham on the design of this 4500 sf residence for a couple in Wells, ME. The site is on the former site large 19th Century family farm not far from the Atlantic Ocean. The prgram consisted of 3 bedrooms, kitchen, dining, and an open concept living room that remained open to the large gabled window wall with views to the sundeck. The design of the house was to be a contemporary interpretation of a New England family farmhouse. Reilly Design is currently working on the design of a Mediterranean/Tuscan style villa for a clientâ&#x20AC;&#x2122;s riverfront site in NH. The goal was to create a home that would be comfortable and allow for great indoor/outdoor entertaining of guests as well as a great place to display the owners collection of spanish art and furniture. Scope included 3 large bedrooms including a ground floor guest suite and garage space for three vehicles. Reilly Design is currently working on design concepts to renovate and update a familyâ&#x20AC;&#x2122;s lake cottage. The goal is to give it a facelift in more of the crasftsman adirondack style. Future work includes renovations to the interior. Client: Amato’s Location:	Kennebunk Beach, ME Collaboration: Bowley Builders Reilly Design worked with Bowley Builders on design concepts to renovate a hip roof colonial into a summer vacation home. The client wanted a more casual feeling home that would be less formal and have a cottage sensibility. Clapboard siding and quoining was removed and replaced with cedar shingles and a new entry ‘pergola’ was added. Reilly Design designed various options for the replacement of an existing multi-family house by a luxury multi-unit summer vacation rental residence on the beach in Rye beach, NH. The goal was to creat a shingle style residence with a mix of 2 and 3 bedroom units as well as a studio suite. Units could combined ot locked off depeding on the size and requirements of the families renting and their guests. Reilly Design provided architectural and interior design services to the client in order to refresh the interior spaces and provide better circulation in a reproduction colonial cape. The client required more room and it was decided that instead of adding to the house, the same program could be achieved by finishing the basement and turning a current 3 season room into a 4 season family room. The current garage was also converted to an easily accesible home office. Client:	Destefano Architects Location: Durham, NH Reilly Design collaborated with Destefano Architects of Portsmouth, NH on the design of a new active adult community. Reilly Design collaborated with Sumner Davis Architects of Portsmouth, NH on the design of an active adult community located on a wooded hillside site of a major thouroghfare in a small NH town. The goal was to create an communityoriented neighborhood of efficient well designed homes and clubhouse. Reilly Design collaborated with Destefano Architects of Portsmouth, NH on the design of an addition to the historic Howells Residence. Multiple concept studies were done for client approval. Reilly Design designed this new shingle style barn for a automobile enthusiast. The lower bay contains 2 carage bays with car lifts to allow for storage in the basement level while holding cars at the ground floor level. The upper floor contains a lounge and library. Reilly Design is currently working on design concepts to add to a familyâ&#x20AC;&#x2122;s summer home. Scope includes enlarging the current family room and providing new deck space outside the current guest suite as well as interior renovations and new windows. Reilly Design is currently working on the design of an addition to an existing residence. The client program includes a 2 car garage, consultation office to allow for meetings with clients and a new master bedroom suite. Scope also includes additional bathroom and bedrooms. Reilly Design worked with the bradley’s on a design for a new large family great room with a loft suitable for the installation of a large antique billiards table. The program also called for a one bedroom in-law apartment that would be in a ‘daylight basement’ with its own entry. Reilly Design designed this pool pavilion for a familyâ&#x20AC;&#x2122;s summer home on a golf course in Kennebunk, Maine. The pavilion is 13â&#x20AC;&#x2122; x 24â&#x20AC;&#x2122; and contains an outdoor grill and large dinner bar for entertaining. There will also be a large flat screen television and ceiling fans in the vaulted ceiling. Client:	Equity Residential Location:	various Size:	1100 SF Collaboration: Tangram3DS (imagery) Reilly Design provided interior design services for a new model unit in a new downtown Boston high rise apartment building. Client:	The Procaccianti Group Location:	Jamaica Plain, MA Collaboration: Tangram3DS (imagery) Reilly Design provided interior design services for a new model unit in a renovated historic brewery just outside Boston. Reilly Design is in the process of developing very early design concepts for a proposed vacation getaway on the Amonoosuc River in the heart of ski country in the White Mountains of NH. Location:	Kennebunkport, ME Reilly Design is currently working on the interior design for a family summer home on the Atlantic Ocean in Kennebunkport Maine. Location:	New Hampshire Reilly Design is currently working on the interior design for a kitchen replacement for a family home. Location:	Telluride, CO Collaboration: Tangram3DS (imagery) Reilly Design provided interior design services for a master suite in a new development in Telluride, CO. Client:	Cathartes Private Investments Location: Braintree, MA Collaboration: Tangram3DS (imagery) Reilly Design provided interior design services for a new model unit in a renovated historic mill south of Boston. Client:	Mass Innovations Location:	Lawrence, MA Collaboration: Tangram3DS (imagery) Reilly Design provided interior design services for a new model unit in a renovated historic mill just north of Boston. Location:	Dover, NH the design office of Reilly Design design collaborative in an historic mill. Location:	Dover, NH office of Reilly Design design in the Cocheco Falls Millworks historic mill complex. Location:	Portland, ME Collaborator: Graham Architects Reilly Design designed multiple design concepts for the repositioning of an office buildingâ&#x20AC;&#x2122;s elevator lobby in downtown Portland, Maine. Client:	element marketing llc Location:	various Phase: conceptual Working with element marketing Reilly Design is designing a new branded retail environment. The goal is to create a bright, energetic experience utilizing cost effective, environmentally sensitive materials, and a color palette that reinforces the element brand. Location:	Miami, FL Collaboration: Robert Reid Wedding Architects, Inc. Reilly Design worked with RRW Architects on concepts for a developer repositioning a former single tenant retail building into a mulit-unit building with a more contemporary look that had more visual presence from the adjacent highway. Location:	Miami, FL Collaboration: Robert Reid Wedding Architects, Inc. Reilly Design worked with RRW Architects on concepts for a new CVS store on a very prominent corner on Collins Avenue in Miami Beach. Reilly Design collaborated with Destefano Architects of Portsmouth, NH on the original concept design and presentation/approval materials of a new shopping center on busy Route 1. Location:	Portsmouth, NH Size:	14,000 sf Collaboration: Sumner Davis Architects, Inc. Reilly Design worked with Sumner Davis Architects on concepts for a developer repositioning a former movie theater complex into a retail center. The goal was to renovate the building to give it a more upscale look while meeting the demands of a tight schedule and budget. Client:	Baldasaro Companies Location:	various Size:	varies Collaboration: Element LLC Reilly Design was asked by the client to develop very early concepting for an upscale salon geared toward men. It would be a place to hang out, get a haircut, and watch the game while they wait. All in an atmosphere that is reminiscent of an old lounge or menâ&#x20AC;&#x2122;s club but with all the contemporary style and technology guys crave. Client:	VIP Part Tires Service Location:	various Collaboration: BrandPartners Retail Inc Phase: conceptual Reilly Design collaborated with BrandPartners on a conceptual design proposal for a regional auto parts and service chain. The goal was to create a more retail-oriented environment with a better customer experience. Special attention was given to how customers and employees would navigate and use the space. Better representation of product and service offerings was also key to its success. Location:	nationwide Collaboration: Resource Marketing Reilly Design worked with Resource Marketing to develop concepts for kiosks and point-of-sale displays for Kubotaâ&#x20AC;&#x2122;s line of kidswear and toys. The goal was to develop a series of scalable components that could be rolled out to stores of varying sizes. They were designed to attract kids of all ages and be a fun extension of the Kubota Experience. Reilly Design collaborated with Destefano Architects of Portsmouth, NH on the design a new class A office building on the site of a former regional newspaper headquarters. design for the building was to be reminiscent of mid-century loft/warehouse buildings. Working with Sumner Davis Architects, Reilly Design led the design of this mixed use development that will replace the former headquarters of a large regional newspaper. The program consists of retail, office, and residential space designed to fit into and complement the existing urban streetscape. Reilly Design collaborated with Destefano Architects of Portsmouth, NH on the design of a new airplane hangar for a corporate jet charter airline. existing building Location:	Portsmouth, NH Size:	50,000 sf Collaboration: Sumner Davis Architects, Inc. Reilly Design worked with Sumner Davis Architects on concepts for a developer to creat an new office/flex space to an existing hangar/ warehouse at the pease International Tradeport. Program was for 2 levels of office space attached to renovated airplane hangars and distribution space. Client:	Jay McSharry Location:	Portsmouth, NH Collaboration: Sumner Davis Architects Reilly Design collaborated with Sumner Davis Architects on this renovation and repositioning of a downtown gateway building. The goal was to update the look of the building while creating more appropriate lease space on the upper floor. Location:	Portsmouth, NH Size:	25,000 sf Collaboration: Destefano Architects Reilly Design working with Destefano Architects, designed a new day care facility serving children from infant stage thru pre-kindergarten. The design allows for daylight for all ages by taking advatnage of a sloping site and therefore providing access to the playground at the lower level. The design also utilizes a monitor roof to gain natural light at the upper level with openings in the floor to allow daylight into the ground floor. Reilly Design is currently working on a â&#x20AC;&#x153;common office palette protomodelâ&#x20AC;? for a real estate company that is expanding their network. The goal is to create a palette and kit-of-parts that could be utilized while being able to be tailored to the local demographic. The offices would be a hoteling space that can act as a landing pad for agents. entry lobby Client: Bean Group redesigned exterior Location:	Meredith, NH Size:	1600 sf Utilizing the new Common Office Palette a new office was created for the lakes Region office. Location:	Lowell, MA Size:	88,000 SF Collaboration: Destefano Architects Reilly Design did conceptual and schematic design for this new mixed-use residential develope designed to fit into and complement the existing urban streetscape. Original scope for the project was an 8 story building and was later changed to a 5 story building. Location:	Lowell, MA Size:	70,000 SF Collaboration: Destefano Architects Reilly Design did conceptual and schematic design for this new mixed-use residential develope designed to fit into and complement the existing urban streetscape. Original scope for the project was an 8 story building and was later changed to a 5 story building. Location:	St Petersburg, FL Collaboration: Robert Reid Wedding Architects, Inc. Reilly Design is currently working with RRW Architects on design concepts for the new headquarters for the St Petersburg Housing Authority. Reilly Design collaborated with Destefano Architects on the conceptual designs for the renovation of an old barn into new offices for a local design-build company. The goal was to do an environmentally sensitive rehab (with potential for LEED certification) while integrating modern systems into a building reminiscent of a rural New England barn. Reilly Design is currently working with Chinburg Builders and the building managment group on designs for a new identity and wayfinding program for a large collaborative office/artist community in a large sprawling historic mill community. The goal is to create a consistent look and identity that will attract new vistors to the complex as well as guide visitors to all areas of the campus. Reilly Design collaborated with Destefano Architects of Portsmouth, NH on conceptual designs to create a more aesthetically pleasing street-front to an industrial building on the Portsmouth waterfront. Reilly Design is currently working on studying the feasibility of repositioning a current retail building into a new corporate headquarters for a local high end boutique hospitality company. The building will also contain back office functions as well as an office site laundry service which will service many of their inns. The building will also incorporate a luxury apatment suite for visiting executives. The goal is to create a building with more presence and provide an evironment that reflects the luxury boutique brand and style of the developer. The building will also continue to fit into its current streetscape comfortably while providing much needed space in very close proximity to its current portfolio of properties. Client:	Destefano Architects Location: Greenland, NH Reilly Design collaborated with Destefano Architects of Portsmouth, NH on the design of an addition to an existing residence currently housing administrative offices for the local school district. Reilly Design worked with Tangram3DS to provide very early design concepts for proposed buildings that would fit into a very large multipurpose urban retail, residential, and entertainment district of a large New England city. Reilly Design provided design concepts for the redesign of the facade of a downtown office building. The goal was to refresh the exterior to better fit into itâ&#x20AC;&#x2122;s neighborhood which consists of more predeminately historic buildings. Reilly Design designed the new US headquarters for Stroheim & Romann in a converted warehouse and manufacturing building in Long Island City, NY. Location:	Indiana Reilly Design developed concepts for the addition of an iconic entry for a building to be occupied by a regional college. The goal was to creat a signature element that would create a stronger identity for the building and give the building a more contemporary look. Reilly Design is currently designing a new restaurant, bar and lounge in an old three story downtown brick building that was the former store and warehouse for an auto parts store. Client:	Tides Inn By The Sea Location:	Kennebunkport, ME Collaboration: David J Graham Architectural Design Reilly Design collaborated with David Graham on this project to assist in miscellaneous design elements to convert the John Calvin Stevens designed (1899) summer hotel into condominiums. Reilly Design also prepared all the necessary presentation material required for submission to the Town of Kennebunkport planning board and other State of Maine regulatory agencies for approval of the renovation. Client:	The Chop Shop Location:	Dover, NH Reilly Design provided design services for a new outdoor casual dining room for an upscale prime steakhouse. The area reuses a former loading and parking area from a historic firestation. Reilly Design collaborated with Destefano Architects of Portsmouth, NH on the design the new outdoor dining deck for a popular outdoor reastaurant on the Portsmouth waterfront. Reilly Design collaborated with Destefano Architects of Portsmouth, NH on the design of a new prototype concept for a popular New England Mexican Restaurant. Reilly Design is currently working on outdoor dining options for a popular Kennebunk Maine Italian Bistro. Groen Builders, Rochester, NH Newington, NH 45,000 sf 84 guestrooms Sumner Davis Architects, Inc.
ÂŠ2018 Reilly Design LLC dba Reilly Design. All rights reserved. Information, material, and designs in this document are proprietary to and owned by Reilly Design LLC. and may not be disclosed to any third party, reproduced, posted on a global computer information network, or distributed in any way without the written consent from Reilly Design LLC . *all work and design product represented in this document has been done entirely by Reilly Design, Reilly Design LLC or by Ron Reilly while at, or in collaboration with, other design firms. ** certain computer renderings courtesy of Tangram3DS and are copyrighted. All rights reserved. An overview of the work of Reilly Design creating inspired environments for how you LIVE, WORK, BANK, SHOP and RELAX.